Join us at Schnarr’s Hardware in Webster Groves to decorate wood blocks with paint, stencils and mixed media to create fun home decor. Spell out words, make initial blocks. house numbers or dates to enhance a festive occasion. All supplies included. 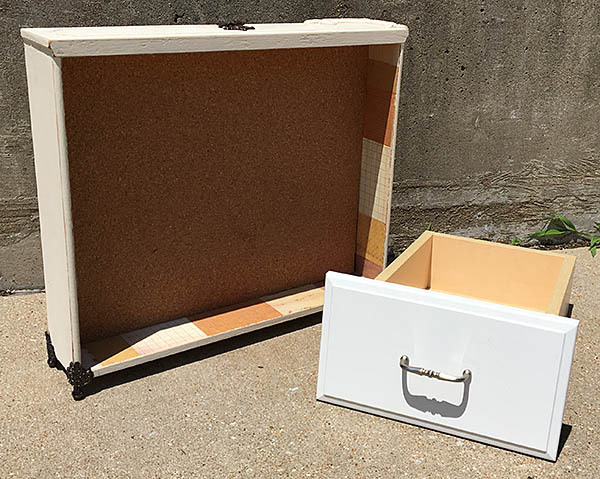 It’s easy to turn an old drawer from an unloved piece of furniture into an attractive and functional shadow box that fits your decor. Learn how from artist and designer Carolyn Hasenfratz at Schnarr’s Hardware in Webster Groves. Most materials are included, including the drawer. If you want metal feet on your box we have some along with some extra decorative hardware available for purchase.